As a result of our last story on Cunard and its class system, an interesting side piecve has come to our attention about the number of crew members on Queen Mary 2 that are married to one another. Elsewhere, the Queen Mary 2 made the news once more when she met up with a team of ocean rowers this weekend in mid-Atlantic and The World of Residensea followed her into Southampton when she arrived this morning. As Cunard Line's Queen Mary 2 arrived in Southampton this morning, not only did her passengers change, but so did a number of her crew. Revealed this week was the fact that the ship also now carried large numbers of crew members who are married to each other and live in "married quarters" on board. What with the romance of being at sea, there is apparently more of this than is commonly known. This arrangement not only solves the age-old problem of family members being away when one goes to sea, but also cuts down the demand that family members be able to travel with crew members from time to time. The spouses now both work for the company instead. By some estimates as many as 15% could be working and living under these arrangements, many of whom have met on board either Queen Mary 2 or another of the Cunard ships. 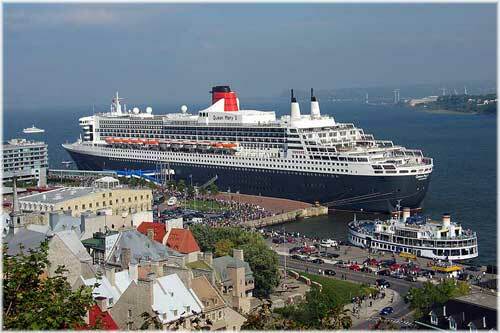 On July 24th in the Atlantic, the Queen Mary 2 also reported having made a rendez-vous with the 23-foot rowing boat Artemis Investments. The vessel and its four crew members left New York on on June 27th and have so far travelled 2,200 nautical miles, having capsized twice in heavy weather. Their purpose is to beat the world rowing record of 55 days across the Atlantic, set in 1896. If she makes her planned time, the Artemis Investments should be arriving at Falmouth some time around August 11th. 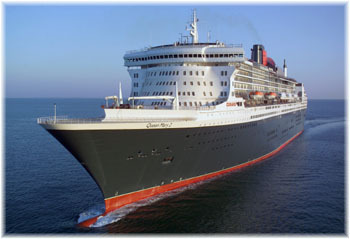 During her rendez-vous with the Artemis Investments the Queen Mary 2 was unable to deliver any supplies or this would have negated the team's attempt. Arriving at Southampton after the Queen Mary 2 this morning was The World of Residensea, in port for a short stay between Guernsey and Dartmouth. Nest on her itinerary will be Fowey, Cardiff, Dublin, Cork, Douglas, Whitehaven, Liverpool and Greenock and Oban before heading across the Atlantic to Iceland, Greenland, Newfoundland, Quebec and Montreal, the down to New York and Bermuda, the US East Coast and Nassau thence Fort Lauderdale and Barbados. The World's accommodation consists mainly of suites that have been purchased by various owners, but she also carries a small number of cruise guests in hotel accommodation. 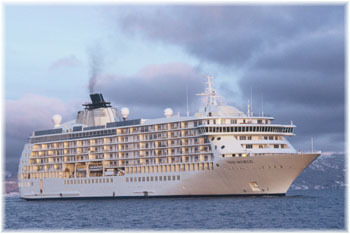 The minimum stay for such cruise guests is six nights, with fares starting in the range of $850 to $900.